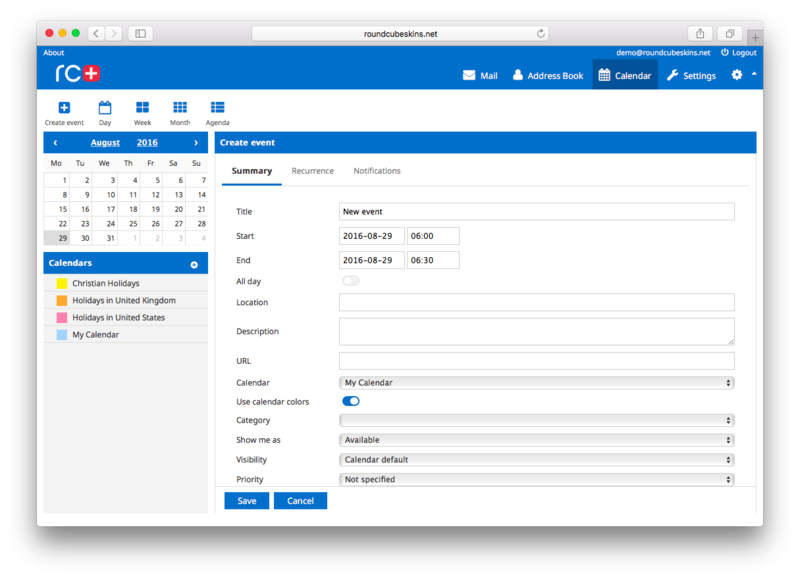 The Shared Calendar add-on is a professional application with all the features you would expect from a full-featured cloud calendar. 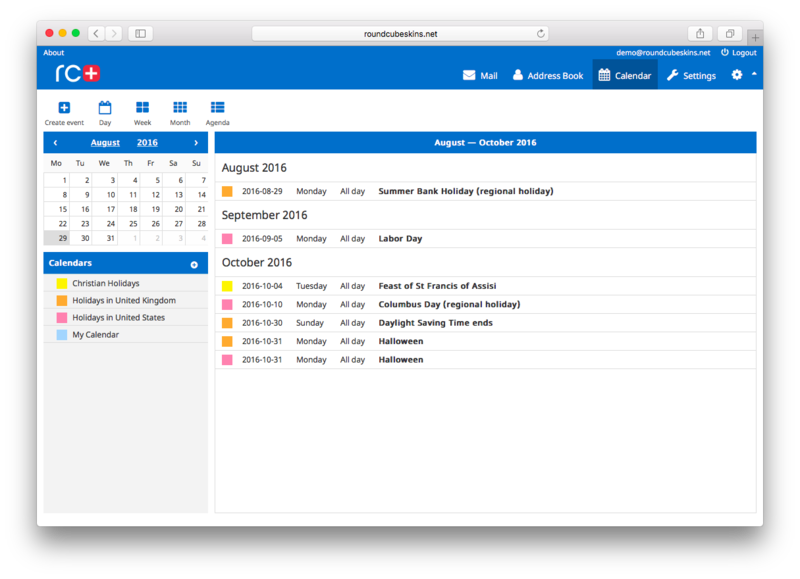 Designed for both desktops and mobiles, the shared calendar gives you instant access wherever you go. 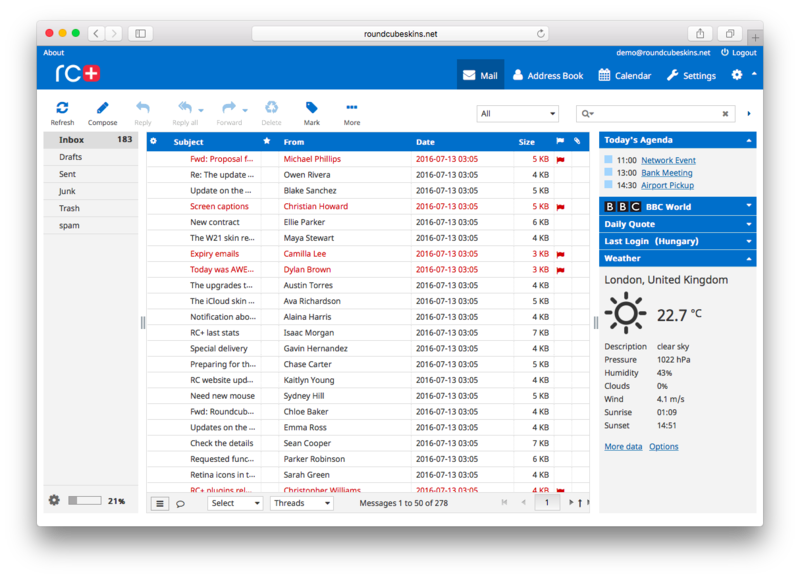 Create an unlimited number of new calendars per user! 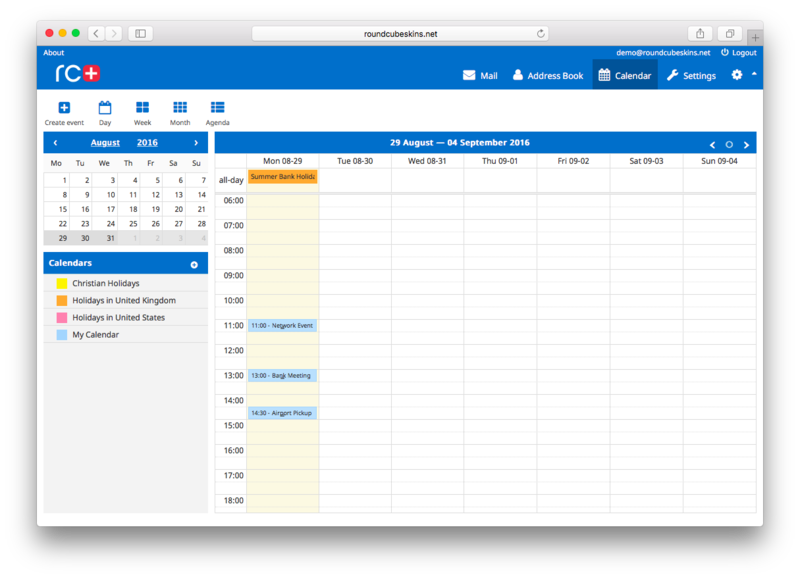 Share the calendars with your co-workers and control each user's access permissions. Connect to your calendars through CalDAV. 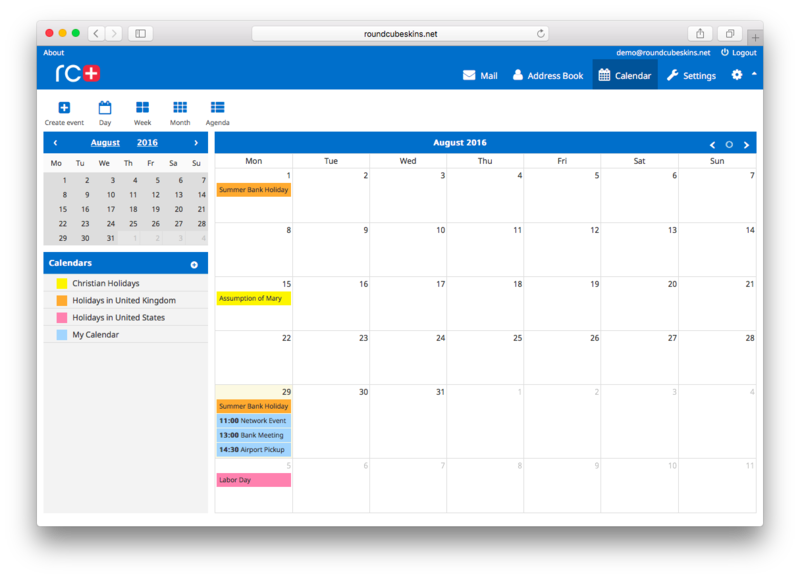 Publish your calendars and view them from third-party applications. Link with Google calendars and display their events on the Roundcube calendar page. Add religious calendars that show Christian, Jewish, Muslim, and Orthodox holidays. Add bank holiday calendars from over 140 countries. Color-code each calendar and quickly hide or show its events. View your events as an agenda. Show the upcoming events on the Roundcube sidebar. Import/export events in iCal format. Drag and drop events to change their start and end time. Integrate event attachments with Dropbox and Google Drive.